Retrofitting your existing pop-up spray heads with in-stem flow regulators can save up to 1,000 gallons per device. 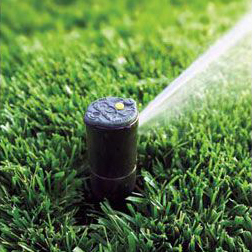 The in-stem flow regulator controls water flow in irrigation systems at the sprinkler head. This is an ideal solution for parks, schools, office complexes, golf courses, nurseries and other commercial irrigation applications. Click here for a list of rebate-eligible in-stem flow regulators.